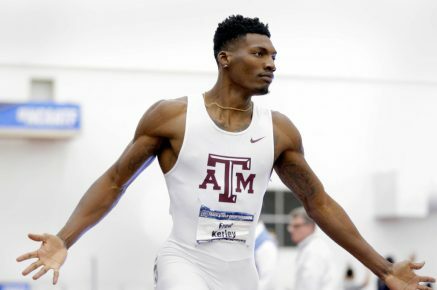 25th June 2017 – Just two weeks after winning the US collegiate title Fred Kerley (USA) added a first US title to his rapidly growing list of achievements. In very challenging hot conditions in Sacramento, Fred controlled his heat, semi-final and then the final itself to cross the line 44.03 seconds and cement his place on the US team for the London World Championships. As well as the two titles for the season Fred is also the current world leader with his personal best time of 43.70 seconds. Shamier Little (USA) was involved in the greatest women’s 400m hurldes race ever with three women running sub 53 seconds and six sub 54 seconds. Shamier was one of those to go sub 53 and as well as earning her place on the US team was rewarded with a massive new personal best of 52.75 seconds, a time that places on her ninth on the all-time list. There was also second places for the Oregon Project duo of Matthew Centrowitz (USA) (1500m) and Shannon Rowbury (USA) (5000m) and with the championships credentials both of these athletes possess they will be heading to London with high hopes. Galen Rupp (USA) was looking for an incredible ninth straight title over 10,000m but he just came short on this occasion. In an eventful race that saw the lead and pace change multiple times Galen wound up fifth in 29:04.61. Jenna Prandini (USA) and Laura Roesler (USA) both gave themselves every chance in their respective 200m and 800m events taking seventh places in fields of very strong depth. After a year of injury, World Indoor Champion Trayvon Bromell (USA) literally threw himself in at the deep end by trying to run his first race this season over 100m and can be proud of how he handled himself.